This buying guide to 2018 golf drivers has everything a player should know about getting the best possible return from their game when using the driver in their bag. Some golf drivers are larger than others. Many brands adhere to the USGA’s legal clubhead volume (460cc), but always check to make sure the golf club is game-worthy before hitting the greens. The larger the head size, the larger “sweet spot” there will be to promote improved consistency. Smaller driver heads come in around 380cc-410cc and allow for better players with greater swing control to achieve repeatable hits. Weight of club drivers also changes much less frequently between brands as the head size. Internal and external weighting helps golfers hit a fade or draw, while also helping to adjust golf ball flight for higher or lower performances. Whether the player prefers weight screws, lightweight carbon crowns or a unique head shape, there’s a high-performance driver out there for everyone which matches their needs. This section is about choosing golf drivers which match the handicap of the player. For golfers who are absolute pros on the greens, a low handicap is ideal, whereas for the mid-range player, a mid-handicap is preferred. For golfers just starting out, high-handicap drivers should be all that is recommended, as these offer most forgiveness on off-hit shots. For those who like to play at a higher handicap or newer golfers, there’s a plethora of golf drivers available to suit their needs. The TaylorMade M4 Driver is a revolutionary new face curvature with a corrective face angle on off-centre hits, engineered to reduce side spin and deliver straighter shots. Twist Face provides more loft in the high-toe and less loft in the low-heel to produce more consistent spin where golfers commonly miss hit. 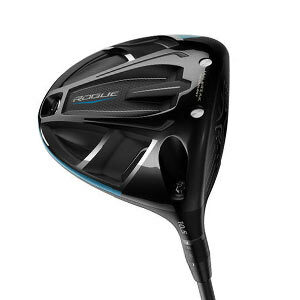 The Callaway Golf Rogue Driver produces crips connection on all hits and erases slice almost completely. A great all-rounder. The Cobra Golf King F8 Driver comes with Dual Roll Technology designed with different curvatures on the top versus the bottom of the face, resulting in optimized launch and spin for ball strikes hit both high and low on the face. 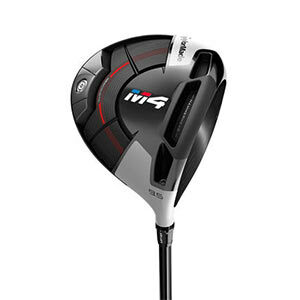 Next is the PING G400 Max Driver, which delivers high trajectory and excellent distances off the tee. Then there's the Mizuno Golf ST180 Driver. Add more yards to your golf game with this fantastic new low spinning ST180 Driver. The driver has a low spin profile with a waffle crown, with weight positioned more forward, and amplified wave sole technology to increase energy in the golf ball for greater distance down the fairways. Most of the same rules which apply to high handicap golfers also apply with mid/high handicaps, too. Playing at this level, it is a good idea to try reducing forgiveness and increasing performance. Golfers who play within the mid-handicap bracket often opt for less loft and stiffer shafts to increase speed on all shots. It is also now commonplace for golfers to use drivers which offer adjustability to give greater success on more shots. Some of the best mid and mid-high handicap golf drivers which make the perfect step up from high handicap models include the TaylorMade AeroBurner Driver, Benross HTX Type R Driver and Cobra King F7 Ti Black Driver. Low handicap golfers will benefit more by opting for a wider variety of shaft/head options, including matching their current swing speed, golf ball speed and launch condition. Most top golf brands create golf drivers with compact, workable heads, and these will undoubtedly help enhance a game, so should be considered when purchasing drivers. Some very good low-handicap drivers include the Callaway Golf GBB Epic Sub Zero Driver, Cobra Golf King F6+ Turbulance Driver, Titleist 917D3 Driver and Cobra Golf King LTD PRO Driver. We stock a huge range of golf drivers at American Golf from all the biggest brands, available both in-store and on our website, including Cobra, Callaway, TaylorMade, Nike, PING, Titleist, Benross, Mizuno, Wilson Staff, Fazer, Wilson, Wilson Deep Red, Yonex, US Kids, Golphin. We are dedicated to helping you improve your game. Matching you with the right equipment from the widest range in the UK needs the latest swing and ball analysis technology. Every one of our American Golf stores is ready to help you hit longer and truer. We advise lots of customers in-store and every one of them has a different style to their play. This is why we believe that getting to grips with latest technologies is the best way to advance your game and find the right golf equipment for you.